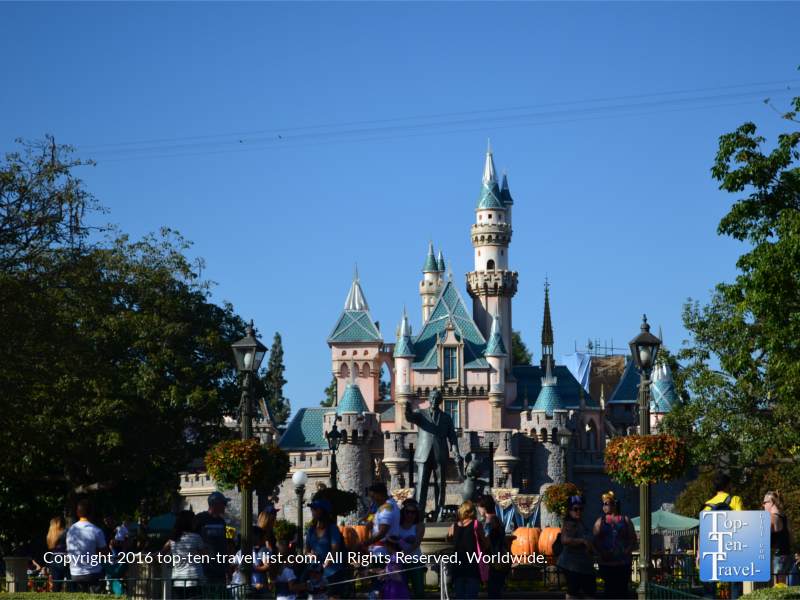 30 Tips for a Wonderful Disneyland Vacation - Top Ten Travel Blog | Our experiences traveling throughout the US. Disneyland, it is known to be “the happiest place on earth,” a world where fantasy and excitement can make all your problems disappear (at least for a little while!). How could you not be happy seeing all your favorite Disney movies and characters come to life? It’s the one place where everyone can feel like a kid again, and thus, both kids and adults alike flock here throughout the year to enjoy the youthful ambiance. As one of the most visited tourist attractions in the US, you can expect heavy crowds throughout the year. Despite the high prices, crazy crowds, and exhausting endless walking, a trip to Disneyland is an incredible experience that will lead you with a lifetime of memories. Luckily, there are some tips and tricks to help make your visit even more wonderful & magical. You will save time by not waiting an hour plus at the gate! There really is no discount for one day tickets online, although you will save money the more days you buy. For example, a 2 day ticket is $97 a day, while a 5 day ticket is $59 a day, and obviously the best value if you feel like you need that much time. In my opinion, the 3 day park pass is the best value, saving you some money, while giving you plenty of time to see everything worth seeing. Park hours vary from 8am-10am based on the date/time of year. The park is not as busy for the first few hours, meaning you can use this time to get on the popular rides that have the longest wait time later in the day like The Haunted Mansion, Space Mountain, and Thunder Mountain. A 3 day Disneyland ticket will give you enough time to see just about everything worth seeing at Disneyland without feeling rushed. Another advantage of this ticket option is that you will receive one Magic Morning ticket (be aware that this is only offered on select dates so check the calendar), which can be used to get into the park an hour early. During this time, you will get on a lot of rides as there will not be nearly as many crowds! I recommend heading straight over to Space Mountain, Big Thunder Mountain Railroad, or Indiana Jones. Not only is the 1 Park per day tickets cheaper, it is also less stressful and time saving to visit only 1 park per day. There is so much to do at Disneyland that wasting time to get over to the other park (California Adventure) is really not worth the time. If you plan to visit California Adventure too, plan for an entire day instead of wasting unnecessary time and money hopping around. CityPass is a great deal if you plan on also visiting Legoland and Seaworld. You will save 29% off admission tickets. For just $340, you will receive a 3 Day Disneyland Park Hopper ticket, plus a 1 day admission to both Legoland and Seaworld. You will also receive one Magic Morning hour early admission to Disneyland. Weekends will always be crowded at Disneyland, more so than Disneyworld, as many Southern California residents have the annual pass. Disneyland is just a quick drive away for many Southern California locals and the pass is a fantastic value (I know I would have one if I still lived in L.A.!) December will be one of the most crowded times as both locals and tourists will be there for the holiday decor and festivities. An October weekday is a great time to visit the park in terms of crowd levels, slightly more attractive cooler weather, as well as festive seasonal decor. 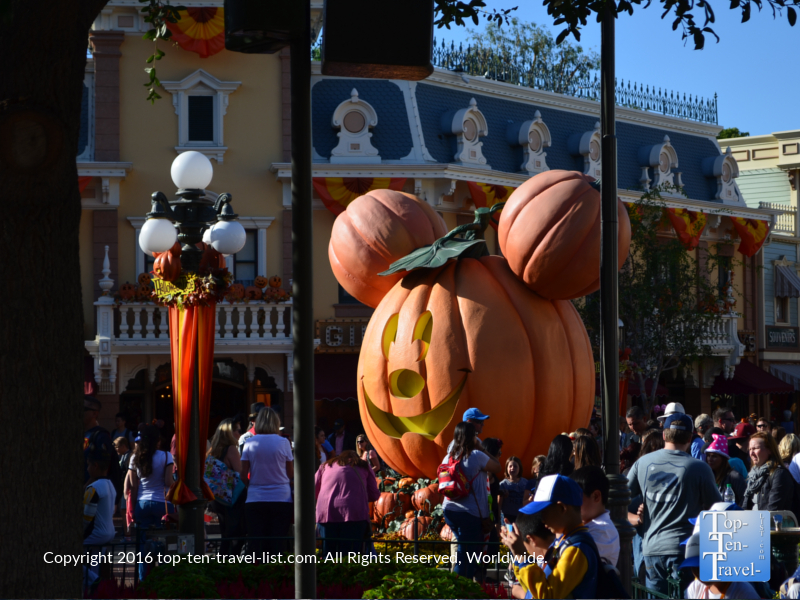 Not only is Mickey’s Not So Scary Halloween party a fantastic time with seasonal themed rides, tasty Halloween treats, trick or treating stations, and a special Halloween themed parade & fireworks show and music, it is also a bit cheaper. This event requires a special ticket (book early as they sell out every year) after the normal park closes. You get to enter the park 2 hours prior to the event. At this time, the park will seem loaded as both regular daytime guests and those attending the party are crowding the park. 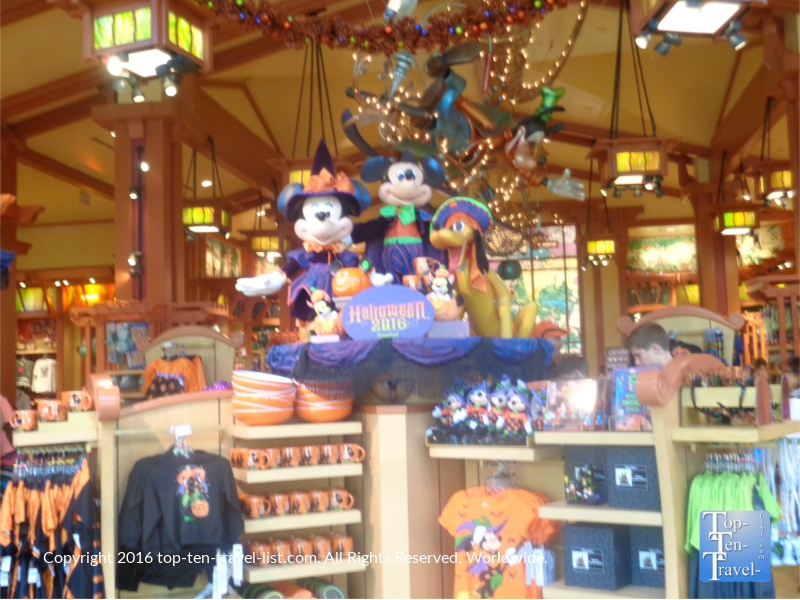 However, once the regular park traffic leaves, the crowds begin to disperse as guests enjoy both the rides and festive Halloween attractions. This means, despite the limited time, you will still get on a lot of rides. In fact, I have never had a shorter wait time for rides. Popular rides like Space Mountain and Haunted Mansion had only a 20 minute wait compared to several hours, and most other rides a 5 minute or less wait. It was amazing to be able to get on dozens of rides within just a few short hours! As an example of how short the wait lines are durnig this event, we got on Thunder Mountain (one of the park’s most popular rides) 3 times within 15 minutes. It’s so tempting to spend hours browsing around the gigantic World of Disney. However, as it is open later than the park, you should take advantage of your park time first! It’s tempting to spend hours strolling around the World of Disney store, as it greets you as soon as you step off the tram. You will want to use all your park hours at the park, not shopping! As World of Disney is open after park hours (until 1am on Thursday-Sundays), you can browse as much as you want when you are ready to leave the park. This store is amazing for Disney fans – they basically have every souvenir you could ever imagine. It’s a great place to shop for holiday gifts too. Also be aware that you can have your items shipped rather than lugging them around. Shipping price is based on the cost of the item, not the weight. The temperatures in the L.A. area tends to vary more drastically from day to night than the East coast. While it could be 70 and sunny during the day, as soon as night falls it will feel really chilly, especially due to the lack of humidity. While you could be happily wearing shorts and a tank top by day, at night you will be reaching for a sweater. Instead of buying a pricey Disney sweatshirt on the fly, pack one in your backpack. If you get cold, it will be easily accessible. If not, it doesn’t take up much space. Wearing a camelbak is basically a hands free hydration product where a hydration bladder is put into a backpack and you can drink from a little tube. In a dry climate where you will be walking around the entire day, extra water is a must. Instead of stopping for multiple water runs, simply wear this backpack. It comes with a few extra side pockets too which can be used for storing your wallet, car keys, sunblock, etc. Asides from your day at Disneyland, this backpack will come in handy for any recreational activities like hiking and biking. If you are looking for something a bit bigger to store clothing items, more food, etc. 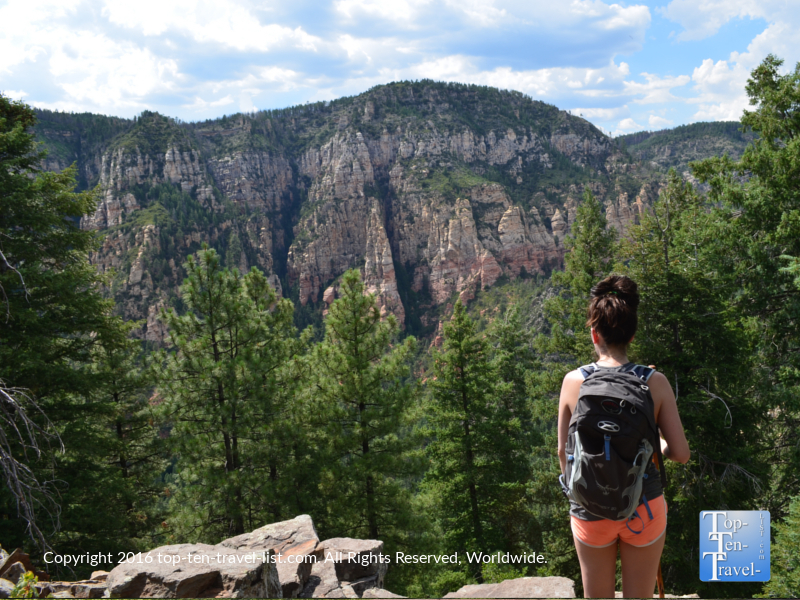 than I recommend a quality hiking backpack. I use the Tempest 20 (pictured below) as it has a dedicated space for a hydration bladder and lots of room to store anything I need.